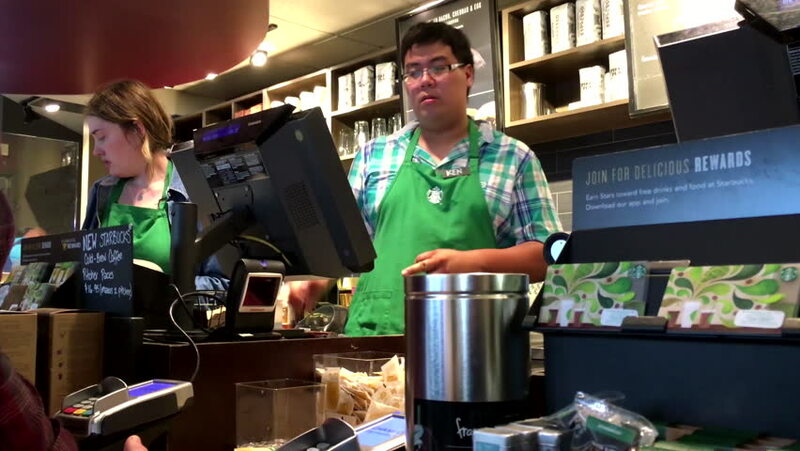 Coquitlam, BC, Canada - September 02, 2016 : Customer buying coffee and paying by apple pay at Starbucks with 4k resolution. 4k00:09HELSINKI, FINLAND - APRIL 07, 2017: Chef prepares grilled meat. Demonstration of the advantages of the new modern grill. Annual Fair Spring Garden at the Expocenter of Messukeskus. hd00:14TOKYO, JAPAN - MAY 19 : Cook prepares yakisoba at 19 May 2015. Tokyo, Japan. Yakisoba is one of the most common cuisine in Japan.